To The Beat! (2018) – What's New on Netflix Canada Today! 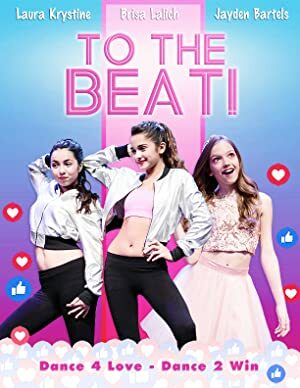 To The Beat follows 14 year old twins Mia and Mackie Castillo – dancers since they were toddlers. Beginning at just three years old, that’s been their one true passion. They support each other through competitions and rehearsals, even though they dance different styles. Mia loves tap and Mackie loves jazz. When their favorite pop star launches an online contest to find the most unique dance group for his next music video, the twins each form their own team to compete for the chance to dance in the video – enlisting their friends and family to help gain online votes. Meanwhile, their arch rival and neighbor, Avery, the best dancer of all (who knows it too) uses her charm and resources to get the upper hand in the competition.